Honda has participated in Formula One, as an entrant, constructor and engine supplier, for various periods since 1964. Honda's involvement in Formula One began with the 1964 season; their withdrawal in 1968 was precipitated by the death of Honda driver Jo Schlesser during the 1968 French Grand Prix. They returned in 1983 as an engine supplier, a role that ended in 1992. They returned again in 2000, providing engines for British American Racing (BAR). By the end of 2005 they had bought out the BAR team, based at Brackley, United Kingdom, and renamed their new subsidiary Honda Racing. It was announced on 5 December 2008 that Honda would be exiting Formula One with immediate effect due to the global financial crisis and were looking to sell their team. On 27 February 2009 it was announced that team principal Ross Brawn had led a management buyout of the Brackley team. The team raced successfully as Brawn GP in 2009. On 17 May 2013, Honda announced their intention to return to the sport in the 2015 season under a works agreement with McLaren to supply V6 engines and kinetic energy recovery system (KERS) units. The first iterations of the Honda engines proved to be unreliable, fuel thirsty, and underpowered, with Honda admitting they returned too early, taking on a project they were not ready for, due to this, Honda spent their first 3 years under the harsh scrutiny of the public eye as they developed their PU. McLaren split with Honda after three years when Honda advised they would not have a front running power unit until 2019 at the earliest, Toro Rosso however, agreed to use Honda engines for the 2018 season as a works outfit. Following a fairly successful season with Toro Rosso, Honda showing fast and potent development with the engines which were proving to exceed the performance and reliability of the competing Renault units, the parent team Red Bull Racing agreed to also take on Honda engines for the 2019 season replacing Renault. So far at the start of the 2019 campaign, Honda engines have proved reliable and fast, greatly reducing the gap to the leading Mercedes and Ferrari power units. Honda entered Formula One Grand Prix racing in 1964 just four years after producing their first road car. They began development of the RA271 in 1962 and startled the European-dominated Formula One garages with their all-Japanese factory team (except for American drivers Ronnie Bucknum and Richie Ginther). More startling was the fact that Honda built their own engine and chassis, something only Ferrari and BRM – of the other teams still running in 1962 – had previously done. In only their second year of competition, Honda reached the coveted top step of the podium with Ginther's win in the RA272 at the 1965 Mexican Grand Prix. For the new 3.0L rules from 1966, Honda introduced the Honda RA273. Although the RA273's engine was a well-designed, ~360 bhp V12, the car was let down by a relatively heavy and unwieldy in-house chassis. Honda returned to the winner's circle in 1967 with the new Honda RA300, driven by John Surtees. This won the 1967 Italian Grand Prix in only its first Formula One race. The RA300 chassis was partly designed by Lola in the UK, and this resulted in the car being nicknamed the Hondola by the motoring press. This was the last competitive car that Honda produced for Formula One in the 1960s. The following year's Honda RA301 only reached the podium twice. The team's new Honda RA302 appeared in only a single race at Rouen-Les-Essarts, lasting only a few laps before its fiery crash resulted in the death of driver Jo Schlesser. The death prompted Honda to withdraw from Formula One at the end of the 1968 season. From 1993 to 1998, Honda's only presence in Formula One was as an engine supplier through its closely related but independent partner, Mugen Motorsports, who supplied engines to Footwork, Lotus, Ligier, Prost and Jordan. Mugen-powered cars had won 4 Grands Prix by the end of the 1999 season. In 1998, Honda was seriously considering entry in Formula One as a constructor, going as far as producing an engine and hiring Harvey Postlethwaite as technical director and designer. In addition, Honda pulled engineer Kyle Petryshen from HRC to help with the design, implementation and management of the new engine in the new chassis. A test car, RA099, designed by Postlethwaite and built by Dallara, was made and tested during 1999, driven by Jos Verstappen. The team impressed at test sessions, beating some more experienced and better financed teams, even if they were mostly in the midfield. At a test of this car, Postlethwaite suffered a fatal heart attack, the project was later shelved and Honda decided to merely recommit as a full works engine supplier to BAR, starting in 2000. The logo used by Honda from 2006 to 2008. Despite showing promise pre-season (with the RA106 being considered one of the most powerful of the new V8 engines), Honda demonstrated fairly mediocre performance at the start of the 2006 season despite a pole position at Australia. Prior to their win at Hungary, they had only accumulated a single podium finish, a third place from Jenson Button at Malaysia. The main reason for lack of form (the team was expecting to challenge for the championship) was down to reliability, with the team dropping out of contention for race victories many times. Pit-stop problems also hampered the team early on, in one case effectively ruining Jenson Button's chances for a good result and possible podium at Imola. Rubens Barrichello did not have a good season for the team, down to the fact that he had to get used to the new brakes and traction control, after moving from a very successful six-year stint at Ferrari. Nevertheless, Rubens had out-qualified his teammate in two of the final four races. At the Hungaroring, fortunes changed. Barrichello and Button qualified third and fourth, though Button had to drop ten places, following an engine change. In an incident-packed race, Button came from fourteenth on the grid to win his first race, with Barrichello finishing fourth. After this win, the team's performance went up noticeably, displaying consistency (if not overall performance) arguably better than championship leaders Ferrari and Renault. Button scored as many points as championship runner up Michael Schumacher in the last third of the season. Both drivers earned points finishes in almost all the remaining races (with the exception of Barrichello's 12th-place finish in Japan), with the season ending high note with Button's 3rd-place finish in Brazil – less than a second behind 2nd place Fernando Alonso – after having to start from 14th on the grid. On 15 November 2006, it was announced that long time BAR Honda and Honda test driver, Anthony Davidson would be heading to Super Aguri F1 to race alongside Takuma Sato. He was replaced by ex-Red Bull Racing driver Christian Klien for the 2007 season. Rubens Barrichello driving the Honda RA107 at the 2007 British Grand Prix. With tobacco sponsorship in Formula One in full decline, 2007 also saw the end of British American Tobacco's sponsorship of Honda, allowing the team to choose a livery that better suited their corporate image. Unveiled on 26 February 2007, the RA107 car featured the bare minimum of corporate advertising (advertising required by the FIA), instead focusing on Honda's environmental desires, with a livery depicting the planet Earth against the black background of space. On the rear wing was the web address of environmental awareness website myearthdream.com. This site was launched 27 February 2007, immediately after the official launch of the 2007 car. Reactions to the new Honda livery were mixed, and Greenpeace accused the team of hypocrisy, given the pollution from F1. The team's form in pre-season testing was patchy, and Jenson Button urged the squad to improve. The RA-107's sheer lack of pace was evident at the season-opening Australian Grand Prix in Melbourne on 18 March, with Button and Barrichello qualifying 14th and 17th respectively (well behind the "satellite" Super Aguri team, whose car is effectively an update of the previous year's Honda, the RA-106). Barrichello finished the race in 11th place, with Button in 15th after receiving a drive-through penalty for speeding in the pit lane. The team also failed to score points in the four subsequent races, their best finish being 10th in Spain and Monaco, scored both times by Rubens Barrichello. Honda finally scored a point in the French Grand Prix, courtesy of Button's eighth-place finish. Rubens Barrichello driving the Honda RA108 at the 2008 Australian Grand Prix. On 19 July 2007, it was announced that Barrichello and Button would continue the factory effort as teammates into 2008. On 12 November 2007, autosport.com confirmed that former Ferrari technical director Ross Brawn was to join Honda as team principal. Nick Fry remained with the team as Chief Executive. On 10 January 2008, it was announced that Alexander Wurz had signed as test driver for the 2008 season. On 29 January 2008, Honda launched their 2008 race car. The "Earth Car" had a slightly different livery from its 2007 counterpart, with only part of the car containing the earth picture, and the rest with Honda's classic white paint. Button, Barrichello and Wurz were present at the launch. Honda had another disappointing year, and by mid-season they had switched development to the 2009 season, where new regulations come into play. Despite this, Barrichello managed a podium in the wet British Grand Prix with an inspired choice to full wet weather tyres at the right moment. Honda exited the sport at the end of the 2008 season, unwilling to continue the Brackley-based team's $300 million budget and staff of 700 during the global economic crisis. The team continued to work on the Honda RA109 for the 2009 season while Honda attempted to sell the racing team. A number of potential owners were linked to the team, including Prodrive boss David Richards, Mexican businessman Carlos Slim, and the Virgin Group. The team was eventually saved by a management buy-out led by team principal Ross Brawn and chief executive Nick Fry, and would enter the 2009 season as Brawn GP. The team retained Jenson Button and Rubens Barrichello as drivers, and would use engines supplied by Mercedes. Honda would continue to provide financial support during the team's first year, and the Virgin Group who were linked to purchasing the team, would sponsor the cars throughout the season. Brawn won the overall title in what would prove to be its lone season before another identity change. 1969 – 2005: Honda did not compete as a constructor. Lucky Strike Honda Racing F1 Team RA106 RA806E 2.4 V8 M 11. Honda Racing F1 Team RA107 RA807E 2.4 V8 B 7. Honda Racing F1 Team RA108 RA808E 2.4 V8 B 16. Honda returned to Formula One in 1983 as an engine supplier for Spirit and stayed in the sport for a decade, at various times teaming with Williams (1983–87), Lotus (1987–88), McLaren (1988–92) and finally Tyrrell (1991). Though they often supplied their engines to more than one team per season, Honda didn't always supply the same specification engines to different teams in the same season. For example, in 1987 as Williams had an existing contract, they were supplied with the latest 1.5-litre RA167-E V6 engine, while Lotus were supplied with the 1986 RA166-E engine which had to be adapted to a lower fuel limit and turbo boost restriction, thus limiting its effectiveness, though for the last year of the original turbo era in 1988, both Lotus and McLaren used the same specification RA168-E. Also, in 1991, while McLaren had the latest RA121-E V12, Tyrrell were only given the RA100-E V10's that McLaren had used in 1990. McLaren had direct Honda factory support, with engines coming straight from the Japanese company's racing division in Japan; while Tyrrell had to make do with the previous RA-100 model that were tuned by private Honda tuner Mugen; they had little to no direct factory support. Both Lotus in 1987–88 and Tyrrell in 1991 obtained use of the Honda engines largely due to their agreeing to sign former Honda test driver Satoru Nakajima as one of their team drivers for those seasons. As an engine supplier, Honda made its World Championship debut with Spirit's Swedish driver Stefan Johansson at the 1983 British Grand Prix at Silverstone. Johansson qualified in an encouraging 14th place (although some 4.5 seconds slower than pole), though he would retire after just 5 laps with fuel problems. Johansson had given the Honda its on track debut earlier in the year at the non-championship 1983 Race of Champions at Brands Hatch (the last non-championship race in F1 history) where despite unreliability, the 1.5-litre turbocharged V6 engine dubbed the RA163-E had impressed with its speed. By the final race of the 1983 season in South Africa, Honda had begun its association with Williams where reigning (and outgoing) World Champion Keke Rosberg served notice that the Honda was on the pace by qualifying 6th, only 7/10's slower than the Ferrari of pole winner Patrick Tambay. Rosberg would give Honda its first win as an engine supplier when he outlasted the field to win the 1984 Dallas Grand Prix and by the end of the 1985 season where Briton Nigel Mansell and Rosberg won the final 3 races of the season (Rosberg had already won that year's Detroit Grand Prix), it was clear that Honda had the engine to beat in Formula One. At their peak (1986–91) Honda engines were considered the ticket to Grand Prix glory due to their power, reliability, sophistication and winning track record. Honda's commitment to F1 was such that Nigel Mansell, who drove Honda-powered Williams cars from 1985 to 1987 recalled in a 2011 interview that Honda were making and developing 4 to 6 totally different engines in a single season. 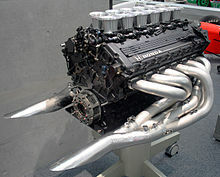 Honda supplied its engines to six consecutive constructor champions (two with Williams 1986–87 and four with McLaren 1988–91), as well as five consecutive driver championships (one by Nelson Piquet in 1987, three by Ayrton Senna in 1988, 1990 and 1991, and one by Alain Prost in 1989), before dropping out of the sport again. 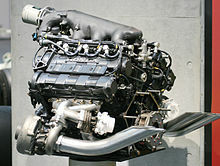 Honda's supreme year in its days as an engine supplier came with McLaren in 1988. Mated to the Steve Nichols designed McLaren MP4/4 and with then dual World Champion Alain Prost and Brazilian Ayrton Senna as the drivers, the McLaren-Honda's had an almost perfect season. Unlike most, Honda built an all new V6 turbo (the RA168-E) for the year to cope with the reduced fuel limit (150 litres) and turbo boost limit (2.5 BAR, down from 4.0 BAR in 1987) and it paid massive dividends. McLaren-Honda claimed 15 pole positions in the 16 races, 13 of them for Senna, and also claimed 15 race wins, 8 from Senna (a new season record) and 7 from Prost which actually equaled the old record he jointly held with Jim Clark. McLaren scored a then record 199 points in the Constructors' Championship, a massive 134 points ahead of second placed Ferrari (who's driver Gerhard Berger was the only non-McLaren pole winner in Britain and the only non-McLaren winner in Italy), while Senna and Prost were the only drivers in contention for the Drivers' Championship ultimately won by Senna. Prost actually scored more points than Senna over the course of the season, largely thanks to 7-second-place finishes to go with his 7 wins, but under the rules of the time only the best 11 scores counted to the championship which saw the title go to the Brazilian. Fittingly in the last race of Formula One's original turbo era, the 1988 Australian Grand Prix, Honda powered engines closed out the podium with Prost defeating Senna with the Lotus of Nelson Piquet finishing an easy 3rd. Honda's final win as an engine supplier came when Gerhard Berger won the 1992 Australian Grand Prix driving a McLaren MP4/7A which used the 3.5-litre RA122E/B V12 engine. The company had decided to pull out of Formula One after the 1992 season due to the worldwide recession that occurred that year. Honda-powered cars had won 71 Grands Prix by the end of the 1992 season, 69 of them as an engine supplier between 1983 and 1992. Williams had 23 wins (75 races) and Lotus 2 wins (32 races) while McLaren gave the Japanese company 44 wins from 80 starts with the team. Honda returned yet again in 2000, providing engines for BAR. They also supplied engines to Jordan Grand Prix for 2001 and 2002. This would lead to a battle for the right to use the Honda engines in the long term. In 2003, despite their better showing in the previous two seasons, Honda dropped Jordan Grand Prix. In mid-November 2004 Honda purchased 45% of the BAR team from British American Tobacco (BAT, the founder and owner of BAR) following BAR's best season, when they were able to achieve second place in the 2004 season, a year dominated by Michael Schumacher and Ferrari. Honda returned to Formula One as an engine supplier in 2015, reviving their relationship with 1980s and 1990s partner McLaren. For the 2015 championship, Honda supplied McLaren with the RA615H, a 1.6 L direct injection V6 turbocharged engine. The engine was designed around McLaren's very tight design and aerodynamic requirements, which they had dubbed their "size zero" philosophy. Over the season, the engine proved to be significantly underpowered and inefficient. The team were hit with a record 105-grid position penalty at the Belgian Grand Prix after needing to make a number of changes to their power units. In Belgium, engine chief Yasuhisa Arai, claimed that the engine was 25 horsepower (19 kW) more powerful than the Renault plant, and a "little bit" behind Ferrari's. However, just one race later at Monza, Arai admitted that the Honda engine was in fact 180 horsepower (130 kW) down on the Renault. Arai refused to apologise for the poor performance of the engine. He was replaced as head of Honda's Formula One programme by Yusuke Hasegawa on 1 March 2016, with Arai taking the role of senior managing officer at Honda's Sakura HQ. McLaren-Honda finished the 2015 season in 9th place in the World Constructors' Championship standings with 27 points. For the 2016 season, McLaren used the upgraded Honda RA616H power unit. The season started more positively than the previous year and after just the sixth race of the season, the Monaco Grand Prix, the team had scored 24 points, 3 points shy of the previous season's total. Reliability and performance were still an issue though, and in June 2016, Hasegawa admitted that the poor performance of the Honda engine meant that "only luck will put them on this year's podium" and "in our current situation, there are not many teams who want our engine". In September 2016, Hasegawa announced that Honda had a separate team already working on next year's engine. McLaren-Honda finished in 6th place in the final Constructors' standings with 76 points, a marked improvement from the year before. At the start to the 2017 season, Honda had redesigned the entire power unit, with the major change being the positioning of the turbo, compressor and MGU-H, this design split the turbo from the compressor and had them overhanging each side of the block with the MGU-H in the centre of the V all connected via a shaft. Honda claimed that the new design was high risk and it would take time to reach its potential but is the only way to surpass their competitors. In pre-season testing, the Honda engine was described as being "unreliable and down on power, possibly even less than last years unit" by driver and double world champion Alonso, with the lack of power meaning the car was 30 km/h down on the straights . McLaren were very disappointed with the performance of the Honda engine and despite McLaren receiving $100 million per year in budget investment from Honda as well as free engines. McLaren approached rival Mercedes for a potential engine supply. Honda engine chief Hasegawa admitted that Honda although the engine redesign was risky, thought that it would be "easy" to develop the engine technology to catch its rivals in 2017, however the technology employed in this architecture was too premature and would take far longer to realise the benefits. The poor performance of the Honda engine left McLaren-Honda at the bottom of the Constructors' Championship with 0 points. McLaren racing director Boullier described the Honda power plant as "simply, and absolutely, not good enough". The partial engine upgrade was at last delivered to Alonso at the Azerbaijan Grand Prix and it showed a good jump in performance from the previous unit however in the interest of saving mileage, the unit was not used in the race, despite this the team achieved its first points finish in the season. At the Hungarian Grand Prix, Honda hailed its first race in three years without an engine failure. The team achieved the only double points finish in this season. Unfortunately, McLaren Honda's glory days of the late 1980s and early 1990s were not to be relived and the partnership dissolved after 2017. The team finished the season with 30 points in the 9th place of Constructors' Championship. On 15 September 2017, it was announced that Honda will be the engine supplier to Toro Rosso for the 2018 season. As part of the deal, McLaren switched its engine supply with Toro Rosso and is now powered by Renault. Honda stated that the goal was to become a top three engine manufacturer in partnership with Toro Rosso for 2018. The season started off well for Toro Rosso, with the Honda engine proving to be significantly more reliable compared to previous years. Team principal Franz tost claimed "The Honda is not as bad as it was made out to be by previous partners" and was actually surprised by the performance and compact assembly of the unit. In Bahrain, the team managed to finish in P4, Honda's best result since returning to the sport in 2015. As of 2018, Honda had significantly ramped up its F1 efforts, including greater funding, much improved facilities and a much more effective management structure. During the season, Honda's PU developments were fast and effective with the unit being a much more mature variant of the architecture first used with McLaren in 2017. Toro Rosso were more relaxed on the PU dimension requirements than McLaren, allowing Honda to increase the size of various components, some of which the change alone provided a power and reliability boost and despite the size increase, the Honda power unit was still the most compact on the field. At the Canadian Grand Prix, Honda debuted their Spec 2 unit which provided a notable increase in power while also furthering reliability. Red Bull Racing who were running Renault engines for the season had the benefit of watching how their power unit compared to the Honda in the Toro Rosso, after seeing the performance gain of the new Honda and being impressed with their dedication and facilities, RBR announced the termination of the deal with Renault and the formation of a partnership with Honda for 2019 and 2020. On 19 June 2018, Red Bull Racing and Honda agreed on a two-year engine deal for the 2019 and 2020 seasons, thus ending Red Bull's 12-year engine partnership with Renault. The deal means that Honda will be supplying engines to two Formula One teams for the first time since 2008. Team driver Max Verstappen said a custom engine built around the car would provide a significant advantage for the 2019 and 2020 seasons. ^ "Case History". Corktree.tripod.com. Retrieved 8 May 2015. ^ "Honda Factory to Be Based in Milton Keynes". autosport.com. 11 July 2013. Retrieved 23 April 2017. ^ a b c McDonald, Mark; Spurgeon, Brad (5 December 2008). "Honda withdraws from Formula One racing". International Herald Tribune. Arthur Ochs Sulzberger, Jr., The New York Times Company. Retrieved 21 February 2016. ^ "Global crisis ends Honda F1 era". news.bbc.co.uk. 5 December 2008. Retrieved 31 July 2016. ^ a b Cary, Tom (27 February 2009). "Honda buy-out gets green light". The Daily Telegraph. London. Retrieved 4 May 2010. ^ a b "Honda confirms they will return to F1 in 2015 to supply engines to McLaren". FOX Sports. 17 May 2013. Archived from the original on 27 June 2013. Retrieved 17 May 2013. ^ "McLaren-Honda split after three years of troubled partnership". 15 September 2017. Retrieved 16 September 2017 – via www.bbc.co.uk. ^ Honda Archives, Honda Formula 1 Archives (August 1999). "Honda F1 History". Retrieved 17 May 2012. ^ Ornstein, David (2 March 2007). "Earth Car or not, Button will emit over 50 tonnes of CO2 this season". London: The Guardian. Retrieved 7 July 2007. ^ "The Official Formula 1 Website". Formula1.com. 2 July 2007. Archived from the original on 5 July 2007. Retrieved 4 September 2011. ^ "Honda keep Button & Barrichello". news.bbc.co.uk. 19 July 2007. Retrieved 20 July 2007. ^ "Brawn joins Honda as team principal". autosport.com. Haymarket. 12 November 2007. Retrieved 12 November 2007. ^ "Wurz joins Honda as test & reserve driver". autosport.com. 10 January 2008. ^ "Mosley: Honda will help out buyer in '09". ITV F1. 11 December 2008. Archived from the original on 7 February 2009. Retrieved 21 March 2014. ^ Ramsey, Jonathon (27 December 2008). "Honda F1 SOLD! to a man named Slim". Autoblog.com. AOL. Retrieved 21 March 2014. ^ "Virgin involved in Honda F1 talks". BBC Sport. 18 February 2008. Retrieved 21 March 2014. ^ "Honda Announces Sale of the Honda Racing F1 Team" (Press release). Honda. 6 March 2009. Archived from the original on 16 May 2013. Retrieved 21 March 2014. ^ Noble, Jonathan (5 March 2009). "Brawn GP take over Honda Racing". Autosport.co.uk. Haymarket Media. Retrieved 21 March 2014. ^ Scarborough, Craig (21 April 2015). "Technical insight: Honda's radical Formula 1 engine for McLaren". Autosport. Retrieved 11 September 2017. ^ Benson, Andrew (22 August 2015). "McLaren given 105-place grid penalty". BBC Sport. BBC. Retrieved 4 October 2015. ^ "2015 F1 Honda 25 BHP ahead of Renault – Arai". Thisisf1.com. 31 August 2015. Retrieved 11 September 2017. ^ Andrew, Andrew (23 February 2016). "Yusuke Hasegawa replaces Yasuhisa Arai as Honda F1 chief". BBC Sport. BBC. Retrieved 11 September 2017. ^ "Honda: Only luck will put McLaren on the podium". planetf1.com. 27 June 2016. Retrieved 28 June 2016. ^ Barretto, Ben Anderson and Lawrence. "Honda has separate team working on 2017 F1 engine". autosport.com. Retrieved 10 March 2017. ^ "Alonso: Honda has no power and no reliability". motorsport.com. Retrieved 10 March 2017. ^ "Formula 1: Honda boss 'worried' about reliability". 3 March 2017. Retrieved 10 March 2017 – via www.bbc.co.uk. ^ thejudge13 (1 March 2017). "McLaren look to ditch Honda ASAP". thejudge13.com. Retrieved 18 March 2017. ^ "McLaren 'considering options' with Honda". skysports.com. Retrieved 18 March 2017. ^ Anderson, Adam Cooper and Ben. "Fernando Alonso: Honda F1 engine has more problems than lack of power". autosport.com. Retrieved 8 April 2017. ^ Anderson, Ben. "Honda thought F1 progress for 2017 would be 'too easy'". autosport.com. Retrieved 11 April 2017. ^ "Fernando Alonso's frustration boils over but no quick fix for McLaren". skysports.com. Retrieved 15 May 2017. ^ Elizalde, Pablo. "Alonso claims McLaren-Honda losing 2.5s per lap at Sochi F1 track". autosport.com. Retrieved 15 May 2017. ^ Anderson, Ben. "F1 Russian GP: Vandoorne gets McLaren's first 2017 grid penalty". autosport.com. Retrieved 15 May 2017. ^ "Fernando Alonso's breakdown in Spanish GP practice a 'horror story' for McLaren, says Martin Brundle". skysports.com. Retrieved 15 May 2017. ^ "How the Spanish GP unfolded". 14 May 2017. Retrieved 15 May 2017 – via www.bbc.co.uk. ^ "Updated F1 Constructors' Championship standings: McLaren-Honda is lone scoreless team". autoweek.com. Retrieved 17 May 2017. ^ "Canadian Grand Prix: McLaren express 'serious concerns' over 'lost' Honda". bbc.co.uk. Retrieved 8 June 2017. ^ "Lewis Hamilton top in Canadian Grand Prix first practice". 9 June 2017. Retrieved 10 June 2017 – via www.bbc.co.uk. ^ "How Hamilton dominated in Canada". 11 June 2017. Retrieved 27 June 2017 – via www.bbc.co.uk. ^ "McLaren: Honda failure 'simply not good enough'". espn.co.uk. Retrieved 27 June 2017. ^ "Honda tested 'Spec 3' engine with Alonso". motorsport.com. Retrieved 28 June 2017. ^ Barretto, Lawrence. "British Grand Prix: Alonso gets grid penalty after Honda change". autosport.com. Retrieved 18 July 2017. ^ Fisher, Ben (16 July 2017). "F1: Lewis Hamilton wins British Grand Prix as Sebastian Vettel finishes seventh – as it happened". Retrieved 20 July 2017 – via The Guardian. ^ Barretto, Lawrence. "Honda hails first trouble-free weekend of 2017 F1 season in Hungary". autosport.com. Retrieved 3 August 2017. ^ "Vandoorne upbeat despite breakdown". www.planetf1.com. Retrieved 3 August 2017. ^ Mitchell, Scott. "Belgian GP: Raikkonen pips Hamilton to fastest time in Spa FP1". autosport.com. Retrieved 26 August 2017. ^ Khorounzhiy, Valentin. "Stoffel Vandoorne's McLaren-Honda suffered loss of power in Monza Q3". autosport.com. Retrieved 3 September 2017. ^ "Italian Grand Prix: Lewis Hamilton wins to take title lead from Sebastian Vettel". 3 September 2017. Retrieved 16 September 2017 – via www.bbc.co.uk. ^ Benson, Andrew (15 September 2017). "McLaren-Honda split after three years of troubled partnership". BBC Sport. Retrieved 15 September 2017. ^ "Honda targets F1's top three with Toro Rosso in 2018". nbcsports.com. 15 September 2017. Retrieved 16 September 2017. ^ "Red Bull and Honda agree two year engine deal". formula1.com. Retrieved 19 June 2018. ^ "Honda building custom engine for Red Bull". grandpx.news. Retrieved 27 June 2018. Wikimedia Commons has media related to Honda F1.